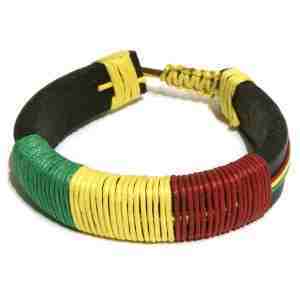 Our unisex leather rasta bracelet is wrapped in the traditional rasta colors of red, yellow, & green. Slip the bracelet on and feel the reggae rhythms String knot weave for easy adjustment. One size fits most. Approximate length from 6" up to 12".